Tarps and their many uses in to days society are saving peoples lives and protecting them from the elements. Canvases are a necessary have item, do not leave home without one. It is recommended to carry at least two in you car at all times and at least four lightweight ones on any camping trip. 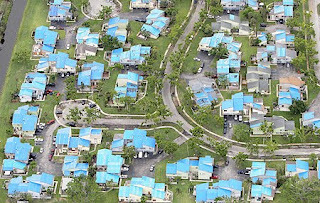 Blue poly tarpaulins are the most used during natural disasters like hurricane season down in Florida, Louisianan, and on the Gulf Coast. 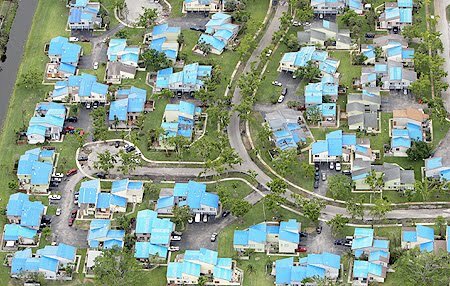 Government agencies like FEMA, handed out two free tarpaulins to families, before and after hurricane Katrina hit. At most any current event taking place, whether in the USA, to Germany, or Africa people have found many uses for canvases for protection or covering. Some current news and a event that took place was the IFAI Expo Americas 2010. As many as 5,100 enrolled associates, and 354 exhibitioners, with 54 nations were represented. This all happened in October, at Orlando. This was the largest specialty fabrics trade event in the Americas, that also included materials pertaining to tarpaulins, both poly and canvas types. There are many natural disasters happening around the world everyday. At the present time, Australia is experiencing some of the worst flooding in history. Many people have been displaced from their homes, into makeshift tents and canvases for temporary lodging until the water subsides. The people living in these areas have gotten use to the floods and have good emergency action systems set in place. Having simple tarps on hand helps with so many things. As you can tell tarps are used widely across the world for many occasions. People have found recreational uses for them, as well as in aid packets for disaster relief. With such diversity a poly canvas has turned out to be a must have piece of equipment on hand to increase ones survival chances, and protection from the elements. Do your self a favor and get yours today do not be caught without one.